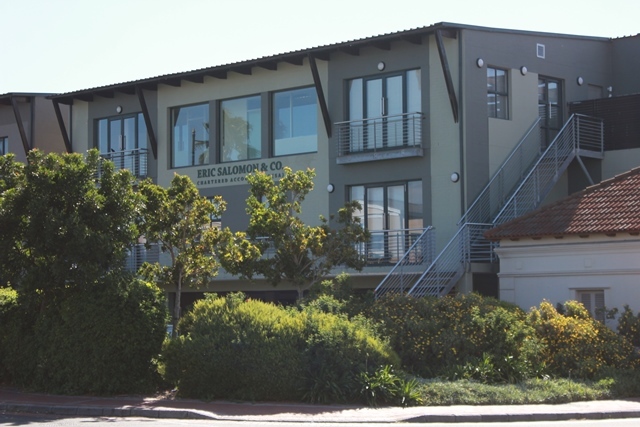 Home - ERIC SALOMON & CO.
Eric Salomon & Co. was started in April 1987 – the first office being 2 rooms in Murray Louw Buildings, in Durbanville. The staff consisted of Eric Salomon, his secretary Bev, and Sandra Elliott, an accounting / administration lady. Sandra retired when the company moved to the new office in December 2007. In June 1990 the company moved to their own premises – a small house in Edward Street (opposite Tygervalley Shopping Mall) which they renovated into an office. At the time of the move, the staff complement had grown to 5. In fact, Eric Salomon & Co. used only half the building to begin with, but took over the rest of the premises in 1994 when they had to house a total of 8 staff. In October 1998, the company again moved to a new office in Mountain View Office Park, also near Tygervalley. The old office was being consolidated into a large office block, so they decided to move. The staff complement was then at 9. In October 2002, the company was again short of space, and managed to expand the office by obtaining the small office next to the existing unit, but this was not enough space for the long term. Eric Salomon & Co managed to acquire some land in the Century City complex, and, as they were bursting at the seams in Mountain View Office Park, they decided to build new premises, with plenty of space for future growth. The building was completed and they moved in, in December 2007.